#GivingTuesday is a special call to action to create a global day of giving that brings diverse organizations and communities around the world together to give back. 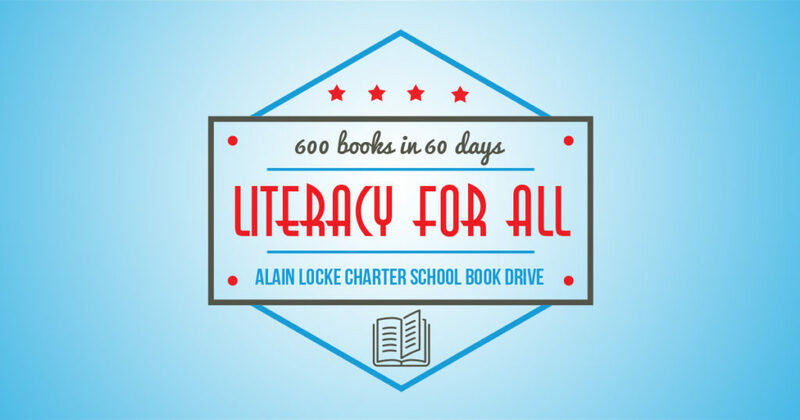 This year, Alain Locke is participating in #GivingTuesday to rally contributions for our book drive. Our goal is to add an additional 200 books per classroom, for all 15 of our classrooms. That’s a lot of books, but it’s possible with your help. Follow the link below and help share the gift of reading with our students—and make #GivingTuesday a success at Alain Locke. This entry was posted in Announcements, General News, In The News on November 29, 2016 by Jacey Abney. This entry was posted in Announcements, General News, In The News on November 1, 2016 by Patrick Love.